1) 'A Vision,' by James Douglas (Released 2000 ABZ 110CD, Caritas), includes performances on the Organ of St. Mary's Episcopal Cathedral, Edinburgh played by James Douglas, such as 'A Prayer for Jerusalem' for Cello & Organ. 2) 'Cloud of Unknowing,' by James Douglas (Released 2001 ABZ 130CD, Caritas), features performances on Piano and Organ by James Douglas, including the World Premiere of the magnificent organ composition 'Le soleil dansant' for Organ, played by James Douglas. 3) 'Caritas Live Series,' (Released 2002-7 ABZ141-152CD, Caritas Live, 12 separate CDs in total), features his performances on all 12 CDs of this unique Live series, including his famous: 'Wee Cooper of Fife,' ' The Ullapool Fanfare' and 'Peace of the Highlands' and the most recent release: 'Land of the Lochans' Caritas Live No. 12. These include some of the most evocative and significant works of his career, performed Live before a Concert audience. 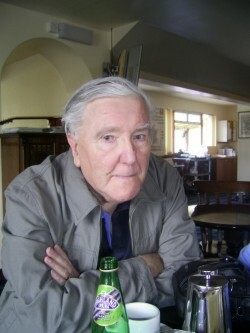 James Douglas still composes and can be contacted to discuss a commission or to buy some of his publications. All enquiries are welcomed via his Music Publishers: Eschenbach Editions. 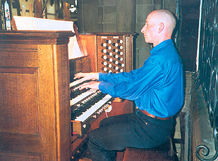 Michael Bonaventure was an organ pupil of Herrick Bunney at St. Giles' Cathedral, Edinburgh. Along with premièring many works for organ, he has given broadcasts on BBC Radio 3 and Radio Scotland and regularly gives recitals around the UK and overseas. His performing is featured on the CD "A Vision" by James Douglas (CD, Catalogue Number: ABZ 110 CD) on the 'Caritas' label in 2000. Click here to buy this CD. He is also featured on the CD "Cloud of Unknowing" The Music of James Douglas (CD, Catalogue Number: ABZ 130 CD) released in February 2001 on the 'Caritas' label by Caritas Records. Click here to buy this CD. 1) "Caritas Live Series," features numerous performances by George Gwilt, taken from live concerts during 2001-2011 (CD, Catalogue Numbers: ABZ 141 CD-ABZ 152 CD). Click here to buy these CDs online now. 2) "Cry of the Deer" by David Adam and James Douglas (CD & Cassette, Catalogue Number: CCBZ 271 CD/ CCBZ 230 C), Caritas Classics). Click here to buy this CD and Cassette. 3) "A Vision" by James Douglas (CD, Catalogue Number: ABZ 110 CD) on the 'Caritas' label. Click here to buy this CD online now. 4) "Cloud of Unknowing" The Music of James Douglas (CD, Catalogue Number: ABZ 130 CD) released in February 2001 on the 'Caritas' label by Caritas Records. Click here to buy this CD online now. The Choir of Christ Church, Morningside, Edinburgh recorded a variety of performances for Caritas Records back in 2000. 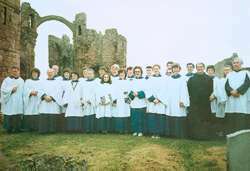 They have performed in a number of concerts in Christ Church, St. Mary's Cathedral, Edinburgh and at St. Mary's Church, Holy Island, Northumberland. The Choir of Christ Church is currently featured in the CD "A Vision," (Catalogue Number: ABZ 110 CD), released on the 'Caritas' label by Caritas Records in 2000. Click here to buy this CD.